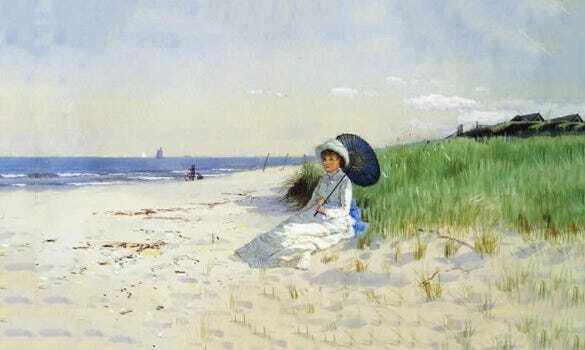 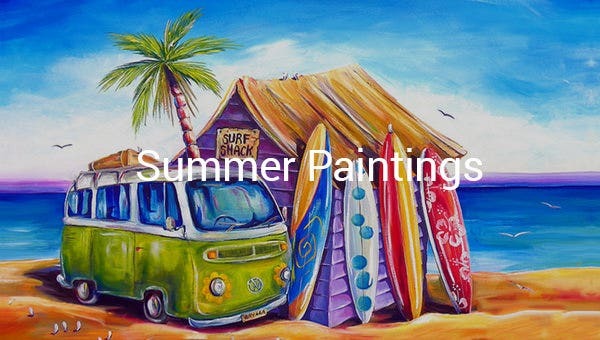 20+ Amazing Summer Paintings Download! 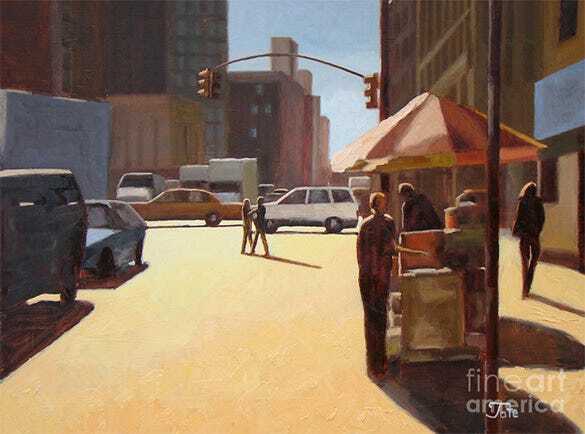 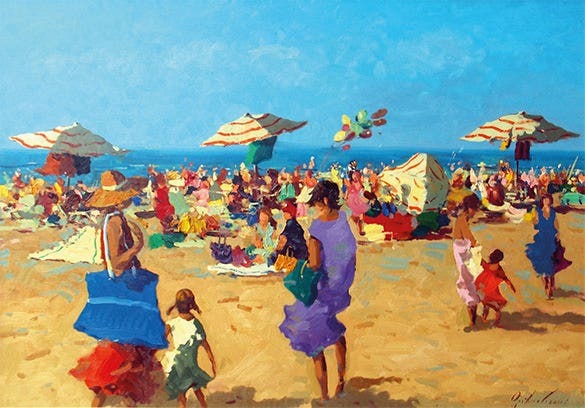 Summer paintings are very vibrant paintings which need to have a lot of detailing. 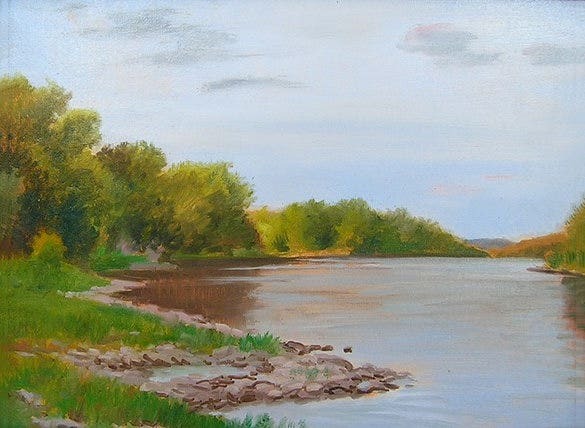 Since summer does help bring nature to life it is easy to get things to draw for your summer painting. 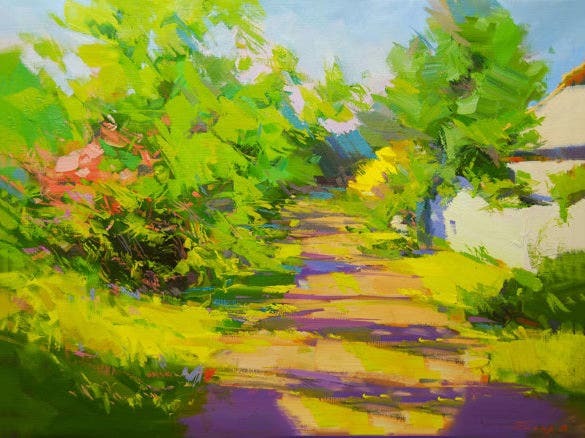 Various shades of yellow and green come into focus for summer paintings. 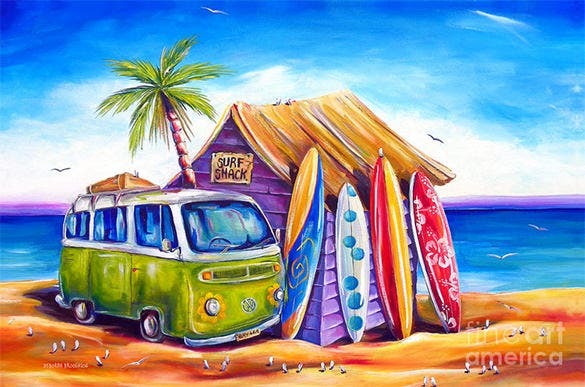 You can also see 3D Beach Paintings. 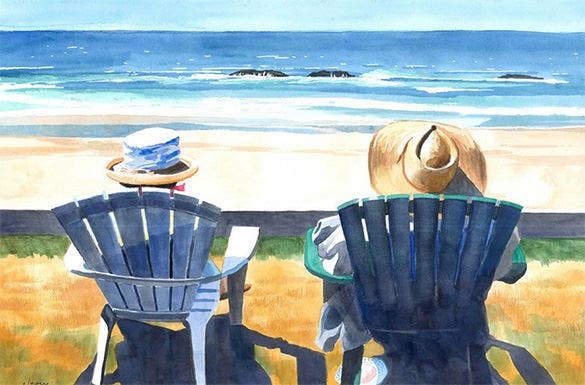 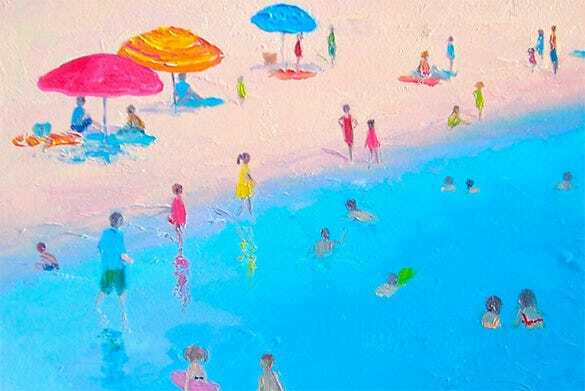 The above water color summer painting of beach depicts summer through the eyes of a seaside lover. 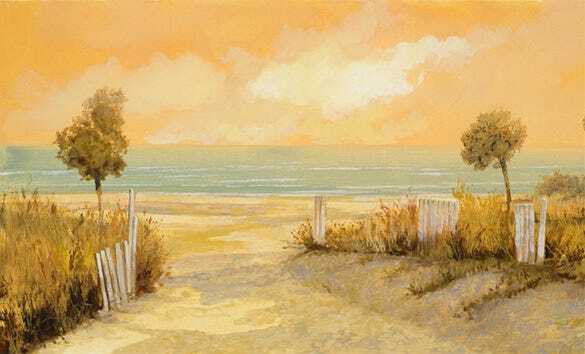 The yellow sand, the blue ocean water has a very tranquil effect on the eyes. 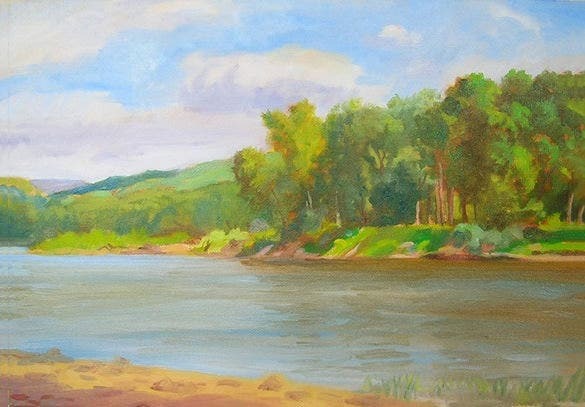 The above summer painting shows the fresh green tone of the trees beside the river and the water has a mirror effect of both the sky’s beautiful blue and white colors along with the green of the trees. 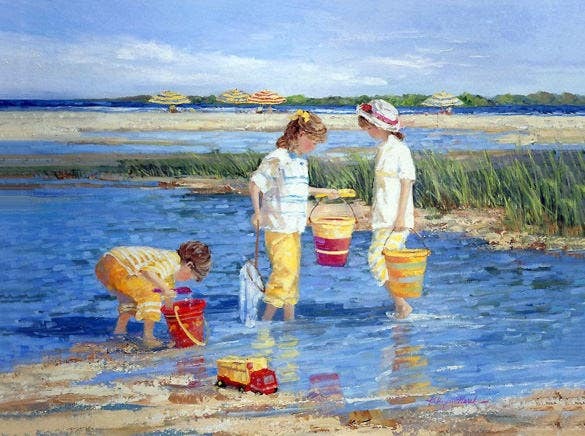 The picture shows the summers of older times perfectly. 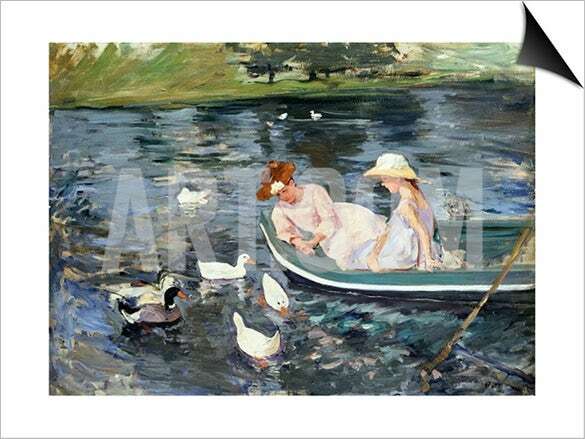 In this summer painting two women are shown riding a boat and caressing the ducks just like in perfect English summers. 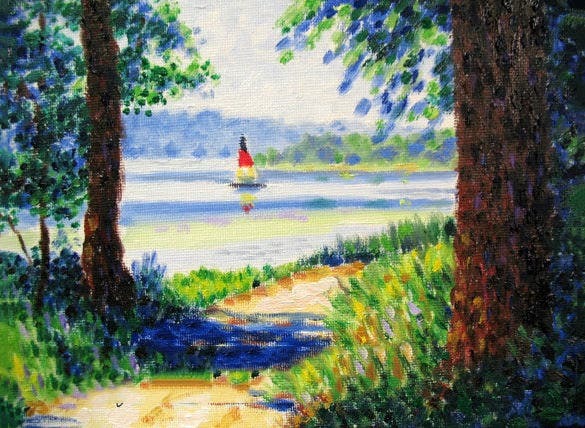 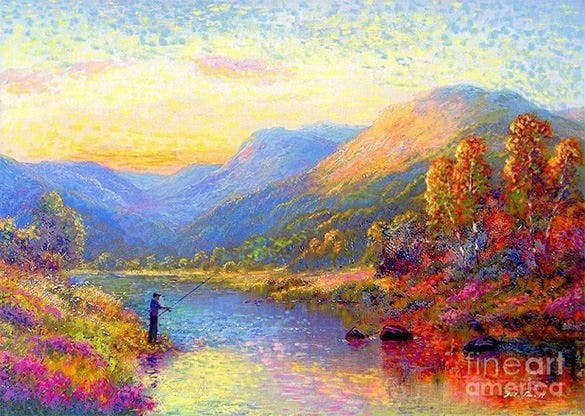 Landscape paintings of summers are usually the most vibrant ones just as the summer painting shown here. 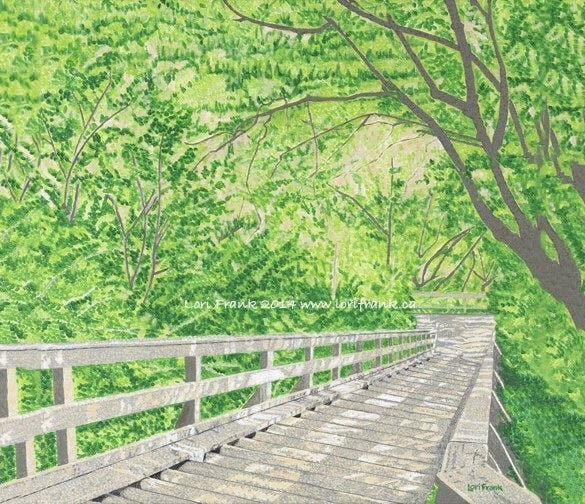 The whole concentration is given on the lush green of the summer trees. 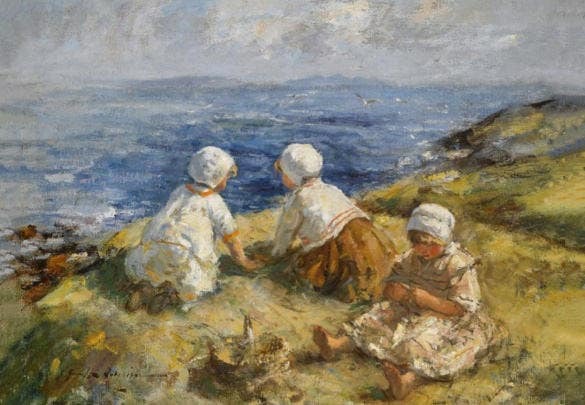 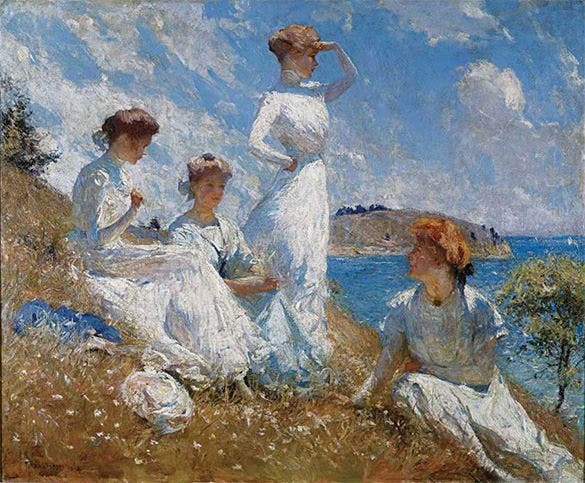 This is one of those summer paintings where you can see four women together enjoying the cool breeze of the water on the shore and spending a beautiful summer afternoon. 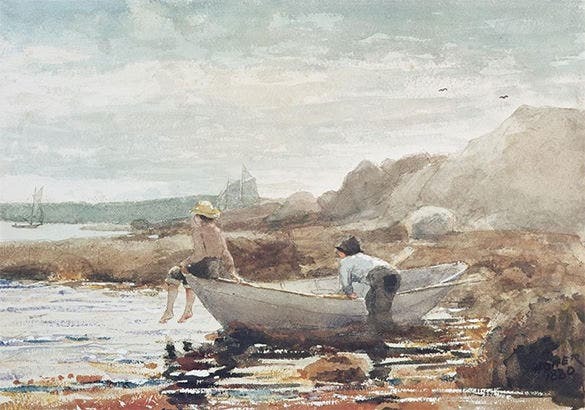 But getting the shades right is very important for the painting to look alive.None of the colors can be of much help if you do not have the right base work for the paining. 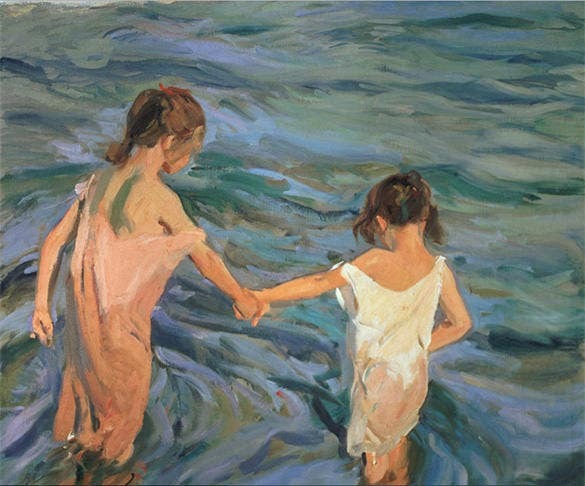 Sketching the main aspects of the painting before adding color to it can be very helpful no matter how good an artist you are.